Alarming video of Indonesian forces shooting, beating and kicking civilians at a peaceful rally in West Papua has emerged ahead of a US visit to the region. Ten people are believed to have died when Indonesian security forces broke up the rally of independence activists last month. The video comes ahead of a visit to Bali by the US President and Secretary of State, for a regional summit. The US has applauded its ‘new partnership’ with Indonesia, but only last week Hillary Clinton criticized its human rights abuses. 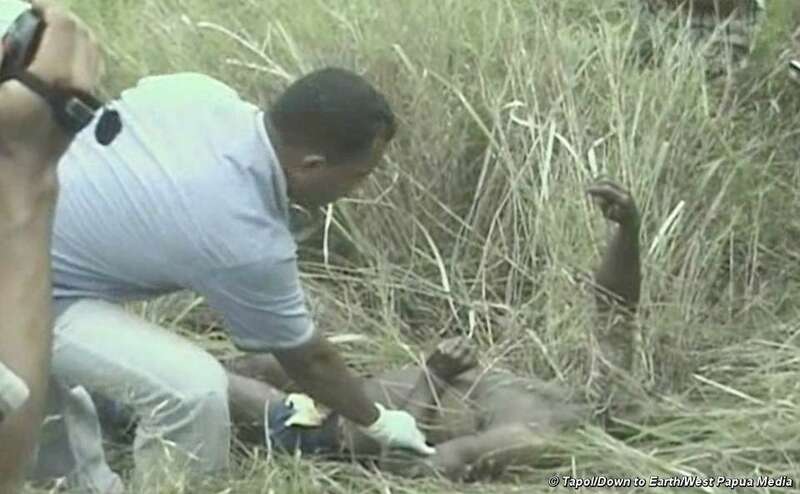 The disturbing footage was smuggled out of West Papua exactly one year after scenes of Indonesian soldiers torturing Papuan mencaused worldwide revulsion. These latest clips allegedly show a local police commander giving the order to break up the rally on the outskirts of Jayapura – and the brutal and unprovoked violence that ensued. Indonesian security forces, many in plain clothes and wearing crash helmets, are seen randomly firing their weapons and arresting scores of people, many of whom are punched, kicked, beaten or forced to crawl along the ground. West Papua has been ruled by Indonesia since 1963, and more than 100,000 civilians are believed to have been killed during its occupation. A Survival campaigner who has been to West Papua is available for interview. WHY DOES THE WORLD STILL BELIEVE EVIL AND COWARD STATE LIKE INDONESIA? 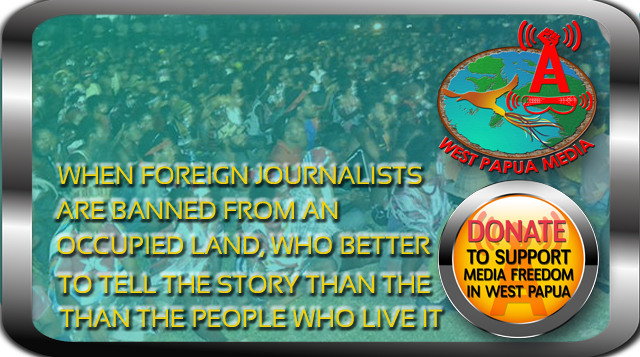 DO NOT LET THEM KILL THE PAPUANS SLOWLY AND OCCUPY THE LAND OF PAPUA AND ITS RICHLY NATURAL RESOURCES. JUST SEND THE NATO FORCES TO DRIVE AWAY THIS CHICKEN-HEARTED NATION THAT HAS DECEIVED THE WHOLE WORLD ABOUT WHAT THEY HAVE BEEN DOING IN PAPUA. THEY JUST CARE ABOUT FEEDING THE NKRI (JAVANESE) WITH PAPUA NATURAL RESOURCES. GOD WILL DRIVE THEM AWAY THRU NATO FORCES.